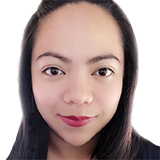 By Angela Betsaida B. Laguipo, BSNReviewed by HH Patel, M.Pharm. The body needs blood flow to supply the needed oxygen and nutrients to various organs. When the organs and tissues of the body do not receive sufficient flow of blood, the person may go into shock. Shock is a medical emergency. It is a condition wherein the blood flow to the various parts of the body drastically reduces. When the organs and tissues of the body become deprived of the needed supply of blood, it may result in shock. Lack of blood means that the tissues and cells do not get the oxygen and nutrients to function properly. If left untreated, shock may lead to reduced organ perfusion and tissue oxygenation. It may also possibly lead to organ failure and death. Cardiogenic shock – occurs when the heart suffers injury from heart failure or a heart attack. Hemorrhagic shock – shock caused by physical trauma. Usually, this happens when there is an open wound that does not stop bleeding. It may result from a vehicular accident or penetrating wounds from a knife or a gunshot. Hypovolemic shock – when the total blood volume drops below normal. This may stem from reasons such as internal or external bleeding, kidney failure, severe burns, and dehydration, among others. Anaphylactic shock – occurs after a severe allergic reaction to certain allergens like a bee sting, eating nuts, eggs, and shellfish, and exposure to certain medications such as antibiotics. Septic shock – caused by a bacterial infection. This type of shock is called toxic shock syndrome and can lead to a drop in blood pressure and abnormalities in cellular metabolism. Neurogenic shock – this type of shock is linked to trauma that leads to spinal cord injuries. If you suspect a person is in shock, treatment is needed immediately. Call for immediate medical attention. Let the patient lie down. This is the most comfortable position. If the patient is in pain, letting him or her rest is crucial. Pain may further intensify stress and accelerate the progression of shock. Call for medical help. Shock can’t be managed by first aid alone. The patient still needs emergency medical care. If the patient is bleeding, control the bleeding and raise his or her legs. The legs should be above the level of the heart and the head should be flat on the floor. But take caution and assess for any fracture or spinal cord injury before doing this. If you are unsure, let the patient lie down flat. Maintain the patient’s normal body temperature. Keep him or her warm if the body is getting cold. If the patient has an allergic reaction, administer an adrenaline auto-injector if you have access to one. If the patient is vomiting or bleeding from the mouth, turn the patient on his or her side to prevent choking or aspiration. If you suspect a spinal cord injury, let him lie flat on the floor. Monitor the patient’s breathing, pulse, and skin color regularly. Reassure the patient and stay with him or her until help arrives. If at any moment, the patient stops breathing, open the airway and check for breathing. Prepare to treat someone who has become unresponsive. Begin cardiopulmonary resuscitation (CPR). Continue until help arrives or the patient starts breathing again.